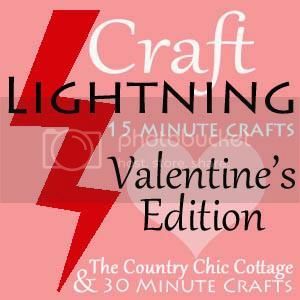 Another round of Craft Lightning and this one is in celebration of Valentine's Day! 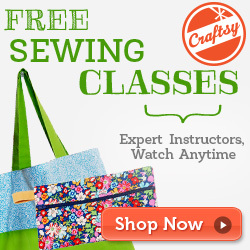 For those of you who are new here..."Craft Lightning" is a craft that you can make in 15 minutes or less (minus drying time) and it is hosted by the awesome Carolina from 30 Minute Crafts and Angie from The Country Chic Cottage! 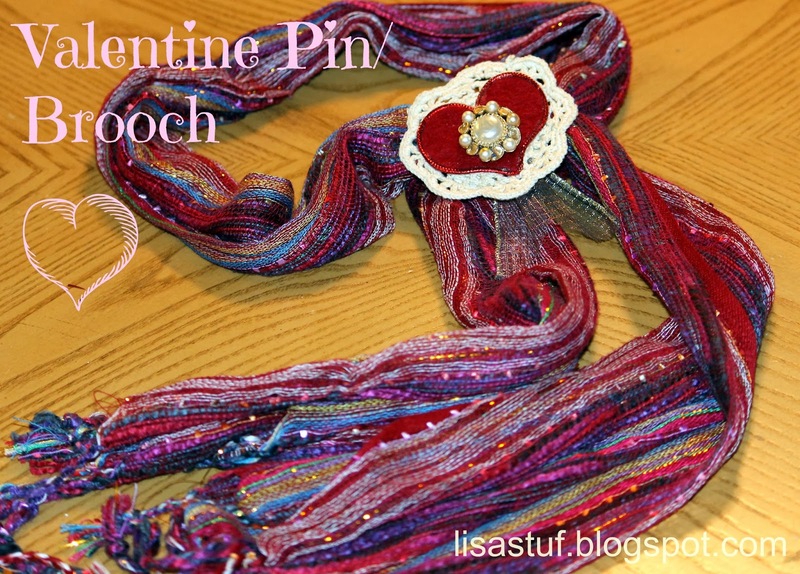 I wanted to make something that could be "worn" on valentine's day, but with a time constraint of 15 minutes, I wasn't sure what I could make that would fall into the "wearable" category. 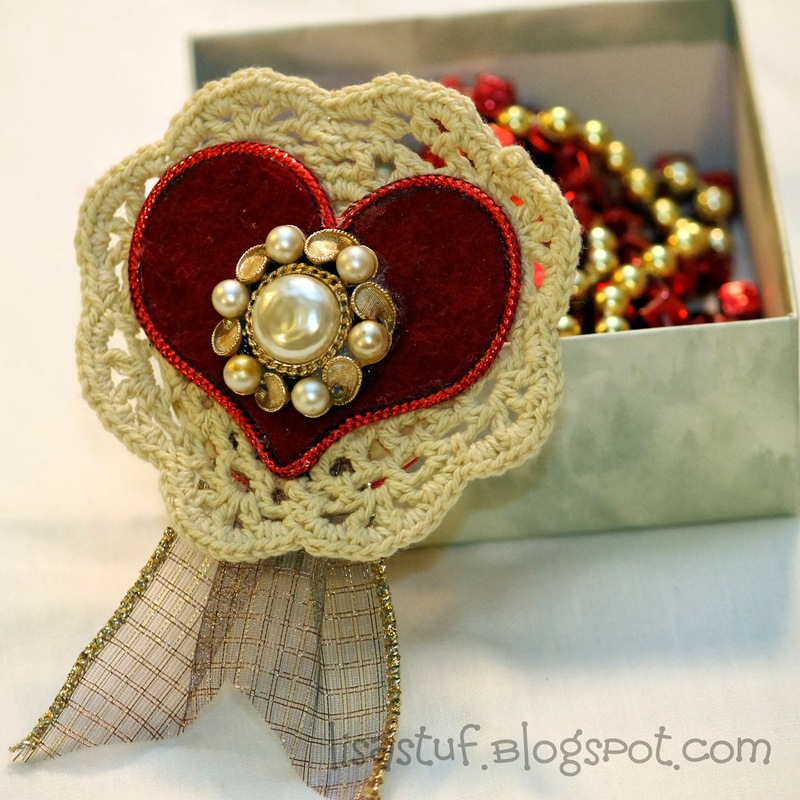 After perusing the local craft store for inspiration, I came up with the idea of a Valentine's Day Pin/Brooch. At first glance, it might appear as if this pin had to take more than 15 minutes, since there is a crocheted backing on it, but that is where my inspiration came from...I was shopping at JoAnn's and spotted these adorable crocheted doily pieces in a bin! They had several sizes and two colors, white and ecru or off white. I immediately thought of valentine's day and of course a pin seemed feasible if I kept it small. As you may know from my previous posts...I am a hoarder of all sorts of household items that can be recycled or upcycled into crafts, so I used a plastic food container lid for the backing on the pin. 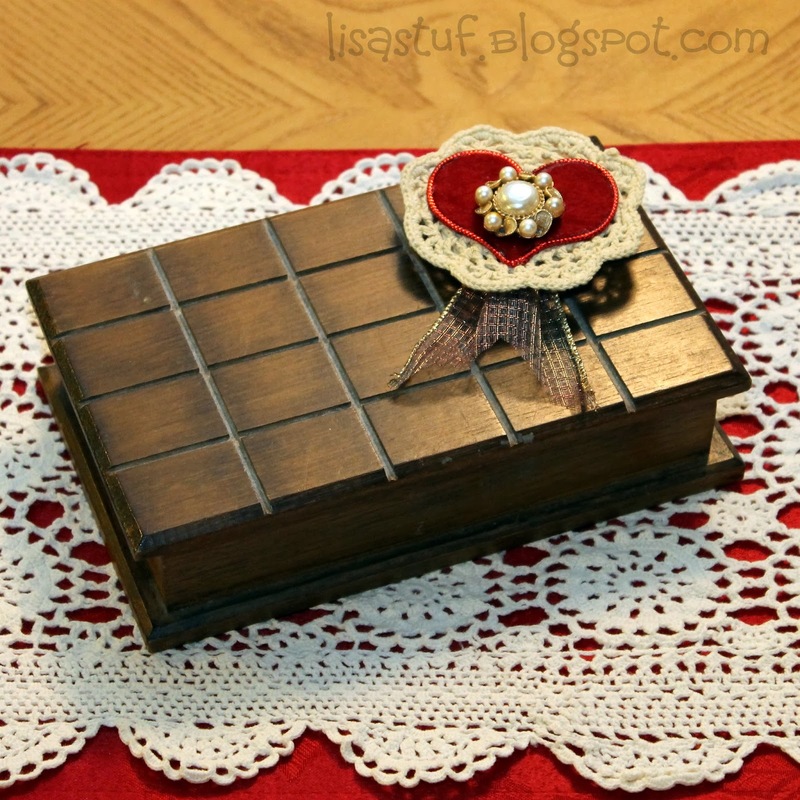 I cut out a piece of scrapbook paper to attach to the plastic on the side that was going next to the lace doily, as I didn't want the red plastic to show through on that side. A bar pin was added to the back of the plastic piece. 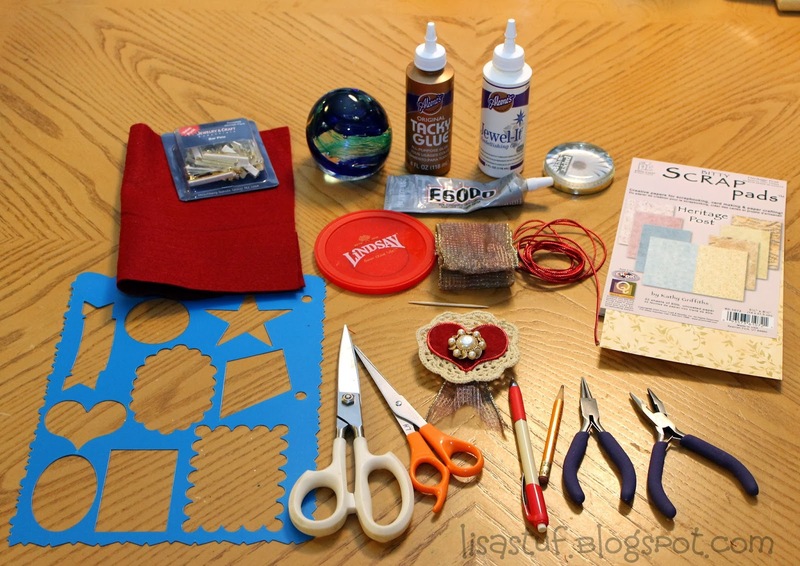 I layered a piece of dark red felt on top of the doily and then added the bling! 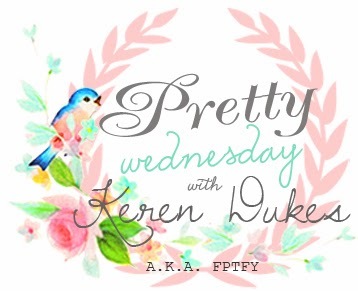 I have been collecting tons of jewelry pieces at yard sales, flea markets and estate sales just waiting for the perfect project to come along to use them! The piece I used here was a vintage "clip-on" earring. I removed the clip from the back using some of my jewelry making tools, so that the piece would lay flat. 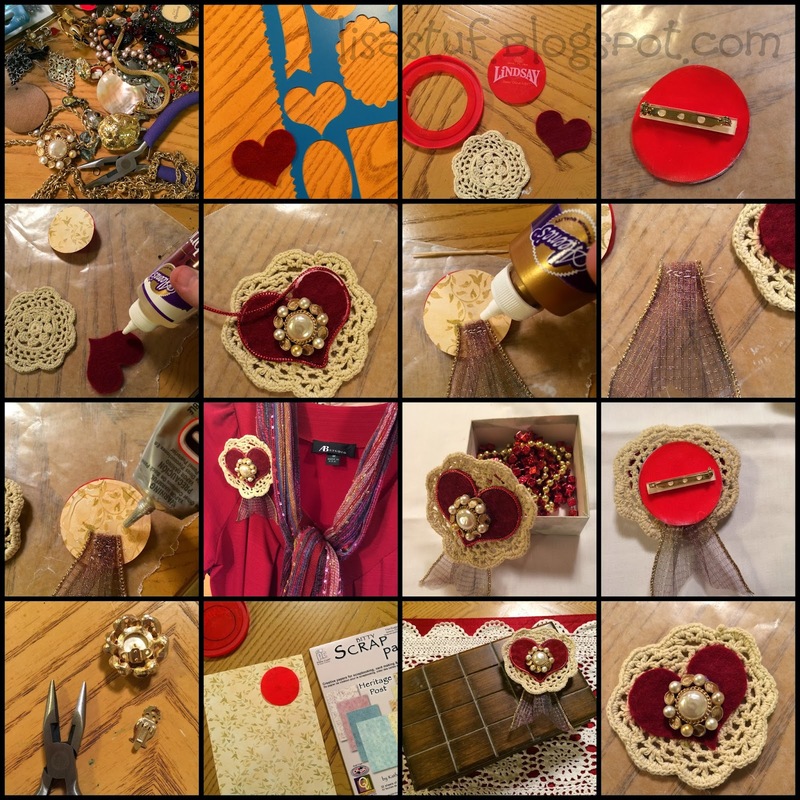 For the final touch, I added some metallic red cord around the heart and some shiny gold/bronze ribbon behind the doily and my Valentine brooch was ready to wear! I would like to thank Angie and Carolina once again for allowing me to be part of their great Craft Lightning Series! 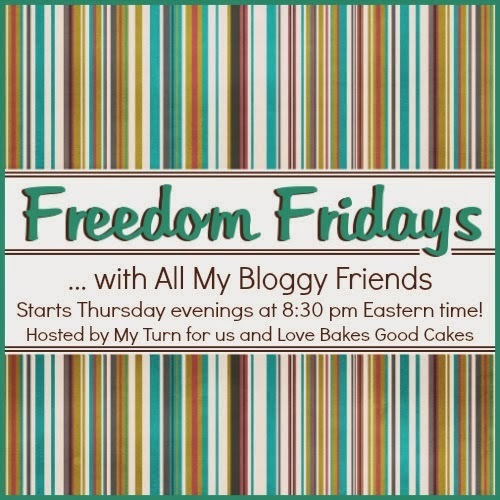 It's always so much fun! Heart Stencil, Assorted Design Template #TMP-4, Pioneer Photo Albums Inc. 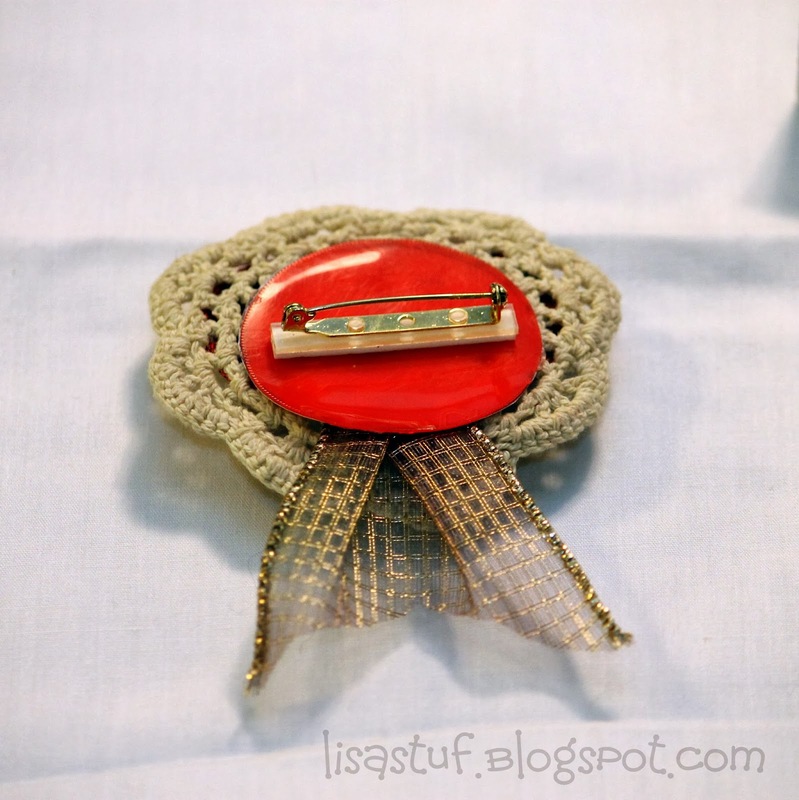 Such a great brooch. And I can't believe that bit of bling you added used to be an earring. It totally looks like it belongs in this setting! I had fun making it and was glad to find a use for all the old jewelry I have been collecting lately!